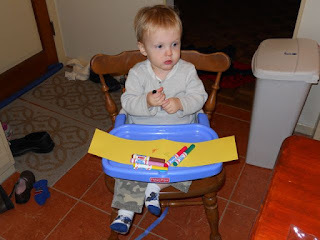 December -- O, December! I think it is one of the busiest times for reading at our house. Every year we read from stacks of holiday favorites that include books like How the Grinch Stole Christmas, The Polar Express, and The Christmas Blizzard. The author birthdays in December are fantastic and lead us to read books like George Shrinks, Punk Farm, and The Wall. This year, we even found a library used book sale that produced many old comic books that were too much fun to ignore. Our trips to the library presented books that were too good to pass up like graphic novels by Erik Craddock (my kids love Stone Rabbit). There are so many good books connected to the month of December. How about a few more? Keiko Kasza is an author and illustrator of 18 books for children that have been translated into 14 different languages (keikokasza.com). Her books were delightful to read aloud and were enjoyed this week by all three of my children -- my oldest is 6 years old and my youngest is 18 months old. In the teacher's guide that Keiko Kasza provides on her website, she states, "as an illustrator and writer, my goal is to create text and art that is simple, uncluttered, and funny." In addition to creating stories that are "simple and funny," and easily enjoyed by children of various ages, her stories have great characters. Our favorite characters were Badger from Badger's Fancy Meal and Uncle Wolf from The Wolf's Chicken Stew. Badger is growing tired of apples, worms, and roots to eat and sets out to find a better meal, but encounters quite a few difficulties (i.e. He is not as quick as he thought he was when he tries to catch a rabbit). 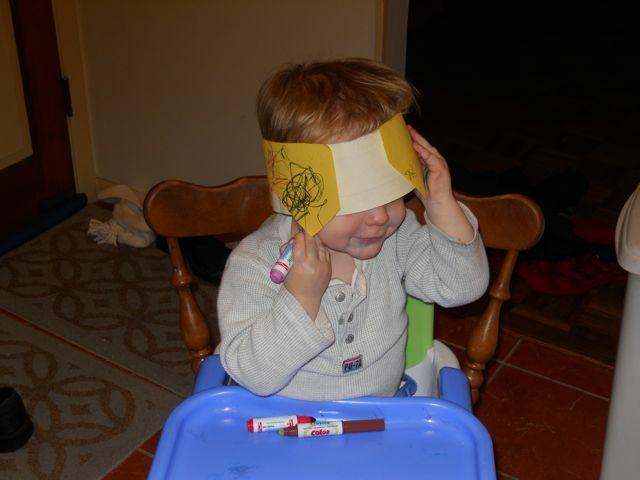 Then, Uncle Wolf realizes he has many fans of his cooking even though he fails to fatten up Mrs. Chicken for his stew. Keiko Kasza talked about developing great characters when she said, "I become the character that I'm working on at that moment. I pretend that I'm a bird looking for a mother, or a pig trying impress his girlfriend. When I'm acting, I'm a child myself." (Penguin Group). 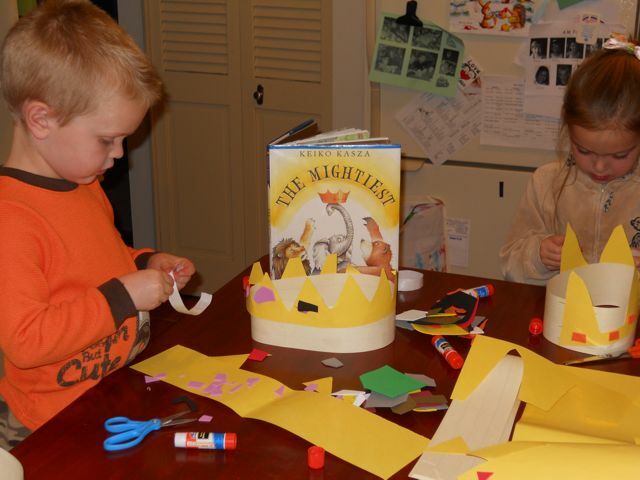 In her book, The Mightiest, a lion, a bear, and an elephant discover a crown sitting on a tree stump that has the words "For the Mightiest" carved in it. The three animals argue over who should wear the crown and even try to prove their mightiness by scaring a little old woman. A giant is nearby, scares the animals, and decides to show his mightiness by scooping them up to drop them off a cliff. The mother of the giant, the little old lady, scolds him to leave the animals alone. It is then clear to Lion, Bear, and Elephant who should wear the crown after all. When I read The Mightiest I noticed how the animals all wanted to wear a crown. I thought my children would like to do the same. 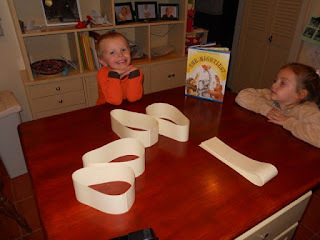 We started with strips of thick paper (These are sentence strips from a classroom lesson). I wrapped the strips around their heads to measure the size and then stapled the ends together. 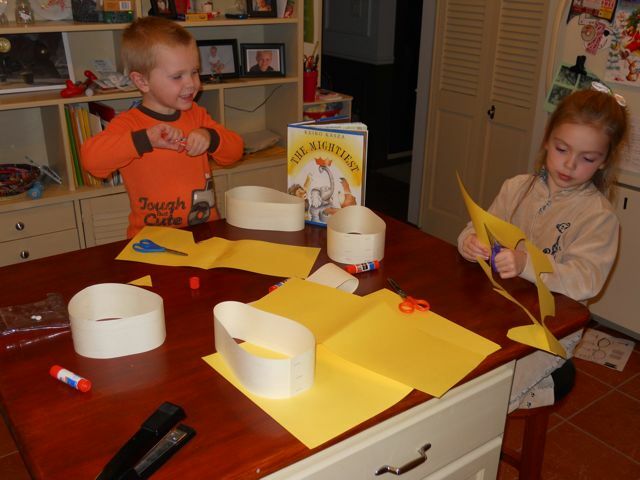 Then, I provided yellow construction paper to make triangles that could be glued on the paper strip. My daughter chose to make triangles but didn't cut all the way through the paper so they stayed together. My littlest one enjoyed The Mightiest too. He loved the lion, bear, and elephant. 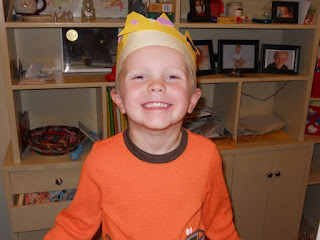 He colored his yellow construction paper with markers to decorate his crown. 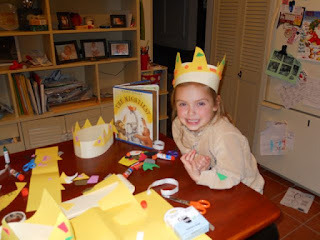 We used scraps of foam sheets to make jewels for our crowns. Once my youngest son was finished coloring, I cut and glued his yellow construction paper to the paper strip to complete his crown. 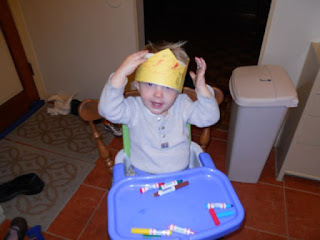 Apparently, he wasn't finished coloring as he tried to color the crown while it was on his head. I would like to wish all of my readers a Happy Holidays! I hope you have memorable time with your family. I am so thankful for many things during this season -- Thanks for being a reader of Happy Birthday Author.